Photos from the 2017 event! YOU! 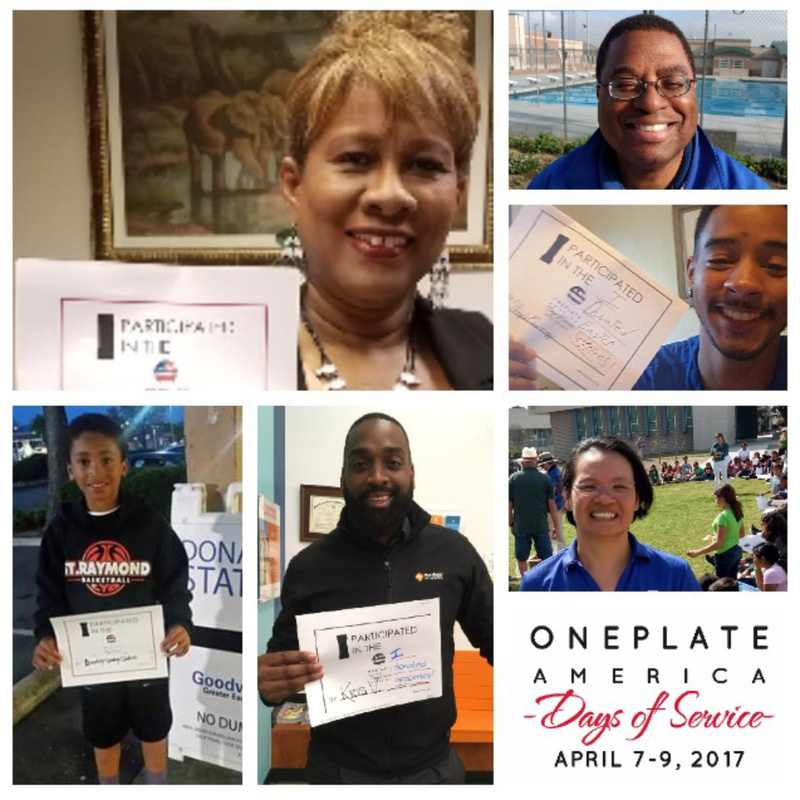 Anyone that wants to do something good for a neighbor, friend, or their community. YOU CHOOSE. 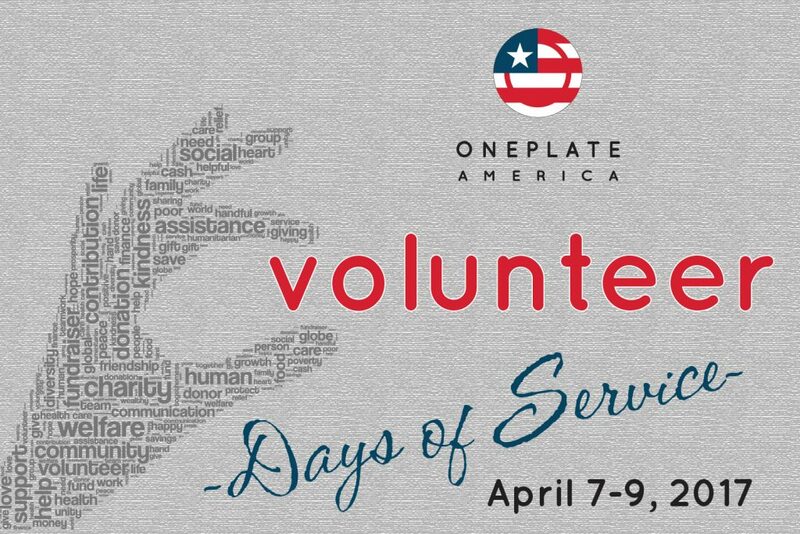 Participants have an opportunity to do an act of service, provide an act of kindness, or lend a hand. No matter how big or small. Collect canned goods, make care packages, collect children’s books, etc. WHEREVER YOU ARE. In your neighborhood, at school, work, church, the grocery store, coffee shop, playground, etc. 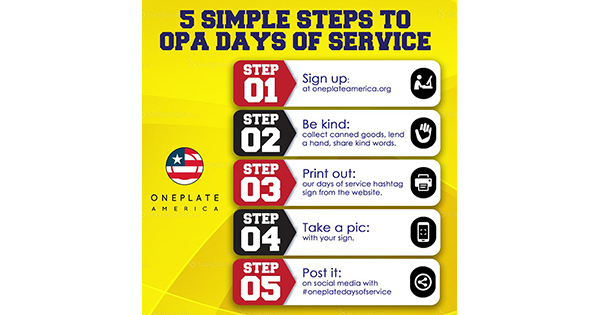 Step 1: Select and complete your act of service. 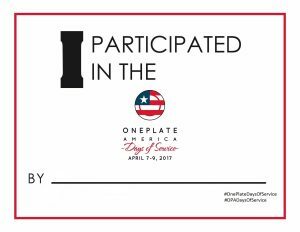 Step 2: Engage with OnePlate America on social media by taking a photo with our hashtag sign and tagging it with #OnePlateDaysOfService. 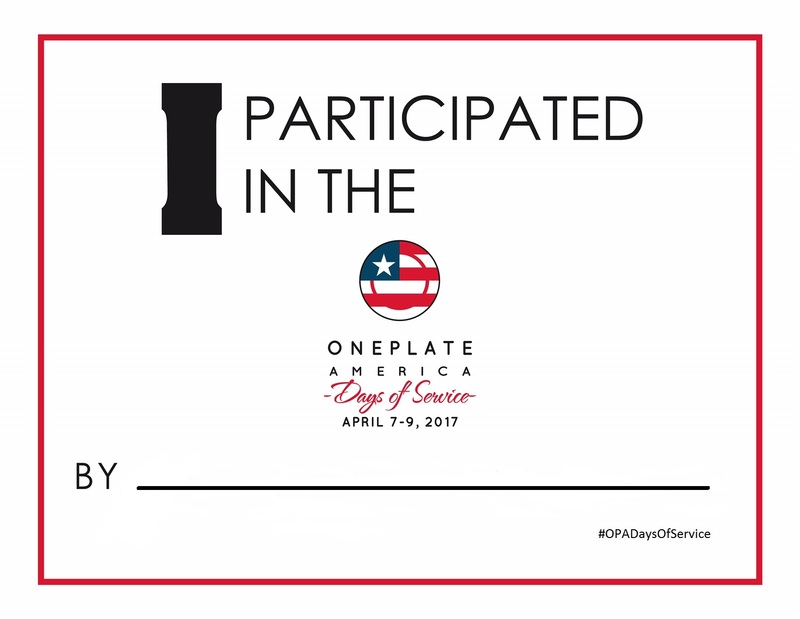 Sign Up Here for Days Of Service! Print This. Fill It In. 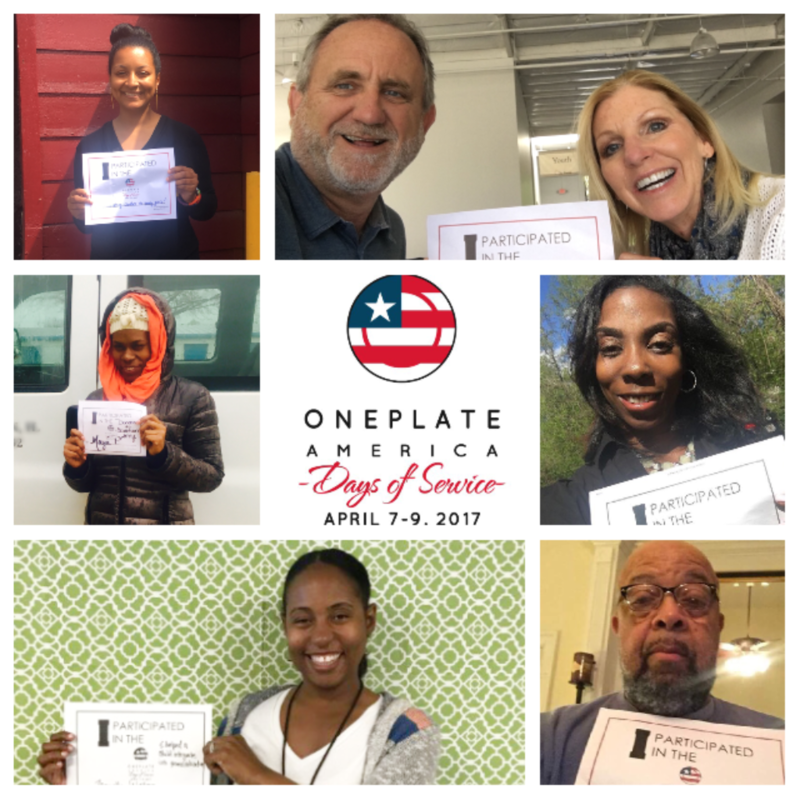 Take A Selfie & Post!